This will be the trip of a lifetime for Scandinavia lovers. Explore the grand capitals of Sweden, Denmark and Norway, with a tour leader and expert guides answering all your questions and imparting their local knowledge onto you. 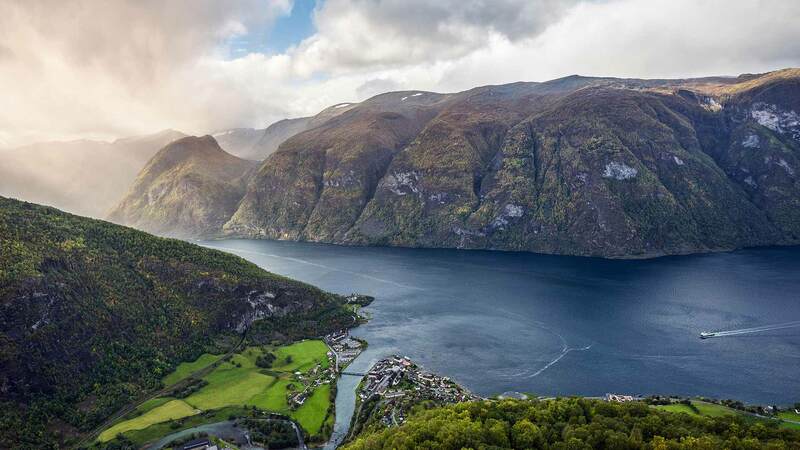 Walk down centuries-old cobblestone streets, sample local delicacies, stroll through charming villages, and be in awe of the breathtaking landscapes - including fjords and mountains - you’ll see by foot, train, boat and coach. The beauty of this tour is that it offers just the right combination between expertly guided excursions and enjoying the sights and cities at your own leisure. 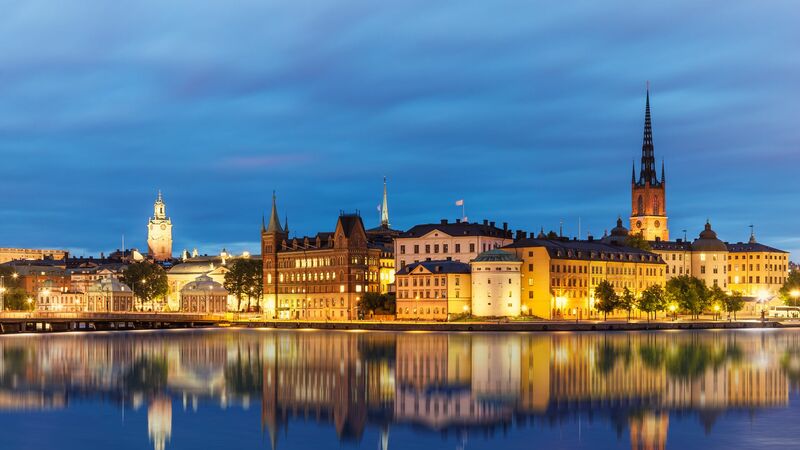 When you arrive at Stockholm-Arlanda Airport, make your way into Stockholm city centre. Many travellers opt to take the express train to Stockholm Central Station, located close to your hotel. For a more direct and comfortable way to reach your hotel, we will be happy to organise a private airport transfer for you. 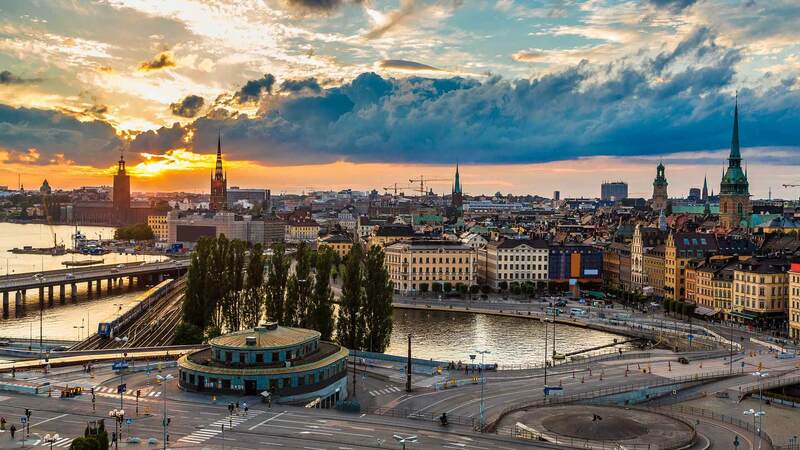 For those arriving early during the day, we recommend spending the afternoon in the city centre, enjoying some shopping on the well-known pedestrian street Drottninggatan and taking a stroll in the surrounding area of Östermalm. There you will find numerous shops, cafés, and restaurants for a perfect introduction to Scandinavian culture. At 18:00, the group will enjoy a welcome dinner together, the perfect occasion to get to know your fellow travel companions and your tour leader for the next 9 days. Spend the night at Hotel C Stockholm or similar. 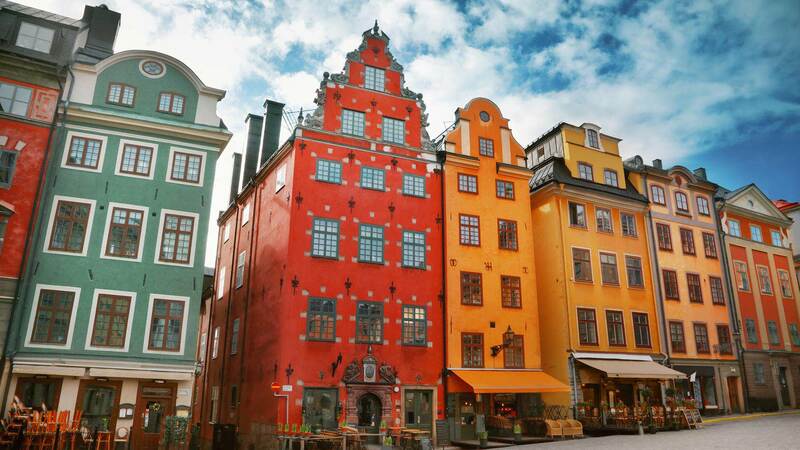 Today you will explore the historical heart of Stockholm. 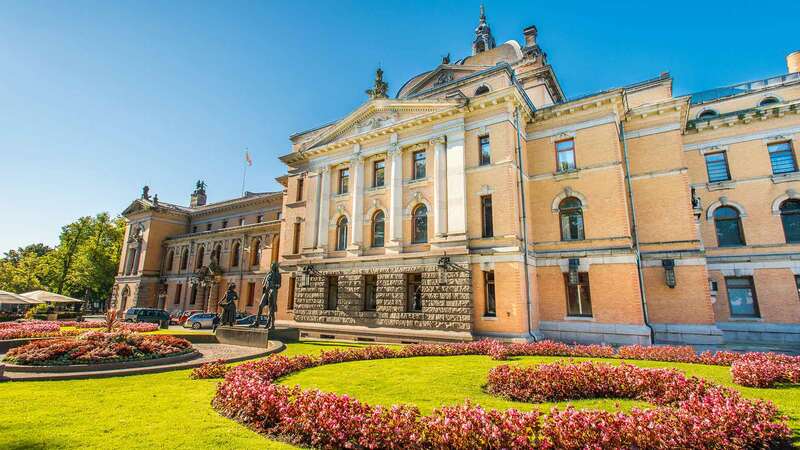 In the morning, you will embark on a guided bus tour taking you around attractions such as City Hall, the hip district of Södermalm, where you will get a panoramic view over Stockholm, before coming back to the Old Town (Gamla Stan). From the Royal Palace, the guide will take you on a guided walk through the medieval cobbled streets of Old Town. After lunch, your tour leader will take you on a short ferry ride to the charming island Djurgården, to visit the famous Vasa Museum. You then get the rest of the afternoon to explore on your own. We recommend staying on Djurgården where you can visit the Abba Museum, Gröna Lund amusement park, and Skansen open-air museum. Tonight you will dine on your own in Stockholm. After breakfast, the group will head to Stockholm Central Station for a half-day train journey to Denmark. 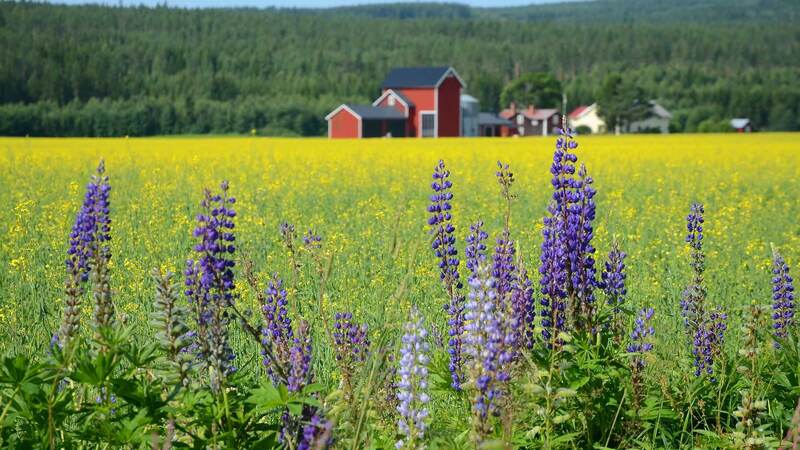 As you travel to your next Scandinavian destination, you‘ll be rewarded with the gorgeous scenery of the idyllic farmlands and forests of southern Sweden. Once you‘ve reached Copenhagen, the capital of Denmark, you will be transferred by bus to your hotel. There you will meet with your local guide who will take you on a walking tour around Copenhagen’s main landmarks. You will stroll through the grand courtyard of the Amalienborg Palace, where the Danish Royal Guard stands watch day and night, see the impressive Frederiks Kirke, and the picturesque Nyhavn with its colourful, narrow houses lining the canal. You will also be treated to the local refreshment as part of the tour. After the walking tour, you will dine with the group. Spend the night at Scandic Front Hotel or similar. This morning you will enjoy a guided tour of the Renaissance-era Rosenborg Castle followed by a walk through the lush Botanical Garden. You will stop for lunch at the famous Torvehallerne food market – a favourite amongst local and visiting foodies. 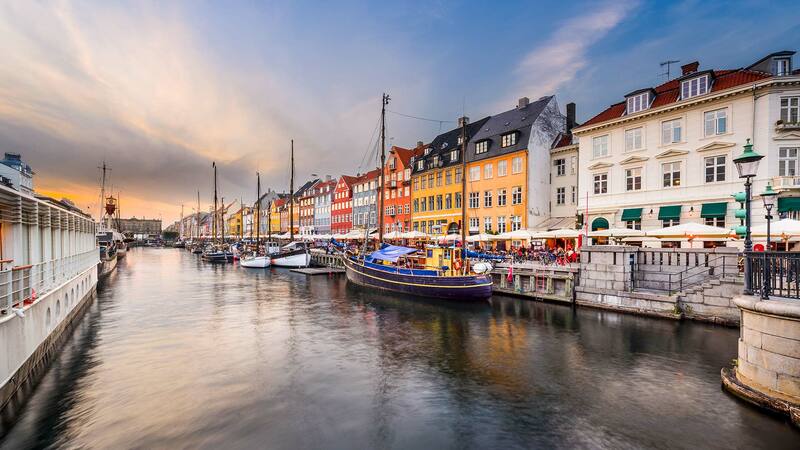 After lunch, you will get a different perspective of the city, with a short boat tour with views of Christiansborg Palace, the Royal Danish Opera House and the colourful Christianshavn Canal. You‘ll then get the rest of the afternoon and evening to explore at your leisure. 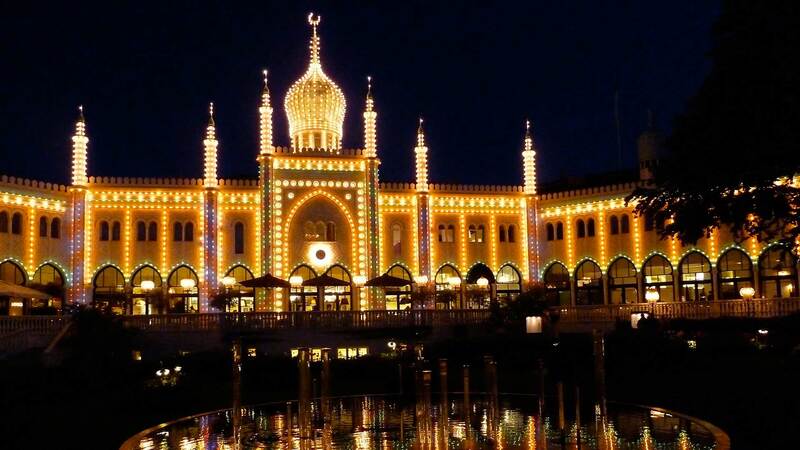 A perfect way to spend the afternoon and evening is visiting the famous Tivoli Gardens amusement park, which combines exotic architecture, nostalgic games and rides, as well as lights and music (entrance fee included). Tonight you will dine on your own. Explore the Danish capital on your own this morning. We recommend strolling along Strøget, a central street of Copenhagen renowned for world-class shopping, or relaxing at one of the cafés or restaurants by Nyhavn. If you’re up for it, walk up the winding equestrian staircase of the Round Tower (Rundetårn), or, for amazing views of the city, climb the 400 steps to the spiralling steeple of the Church of our Saviour. You can also take this time to take a leisurely stroll along the shoreline to the world famous Little Mermaid statue. 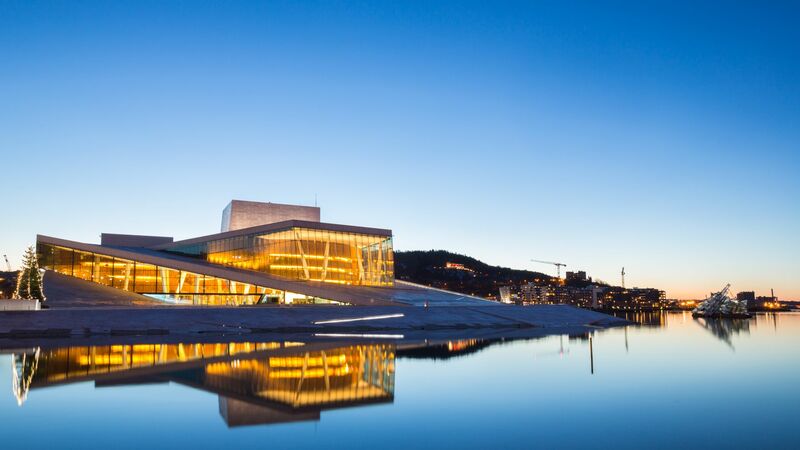 In the late afternoon, the group, along with the tour leader, will board a cruise to Oslo and enjoy a traditional Scandinavian dinner buffet on board. As you sail up the Kattegat Sund to Norway’s capital, you can take part in the on-board entertainment or just relax and watch the sunset from the deck. Spend the night on the cruise, in a private cabin with sea view. Enjoy the views of the Oslo Fjord during breakfast as the ship sails into port. As you disembark, you‘ll head straight into exploring the Norwegian capital with a local knowledgeable guide. The bus tour will take you along the famous landmarks of the city. 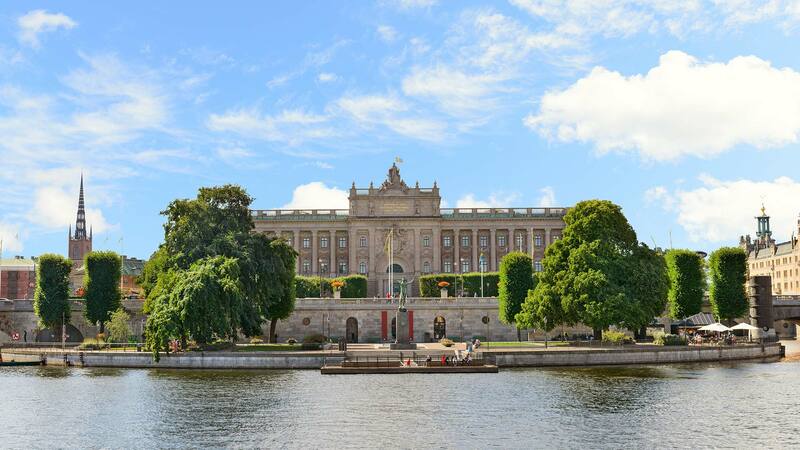 The highlights include the beautiful Vigeland Sculpture Park, filled with over 200 metal and stone artworks, the Royal Palace, Akershus fortress, and City Hall. The guide will leave you at the Viking Ship Museum giving you an hour to explore before being transferred back to your hotel by bus. Tonight you will dine on your own. Spend the night at Clarion Hotel the Hub or similar. After an early breakfast, you will head to Oslo Central Station to start your Norway in a Nutshell® journey towards Bergen. 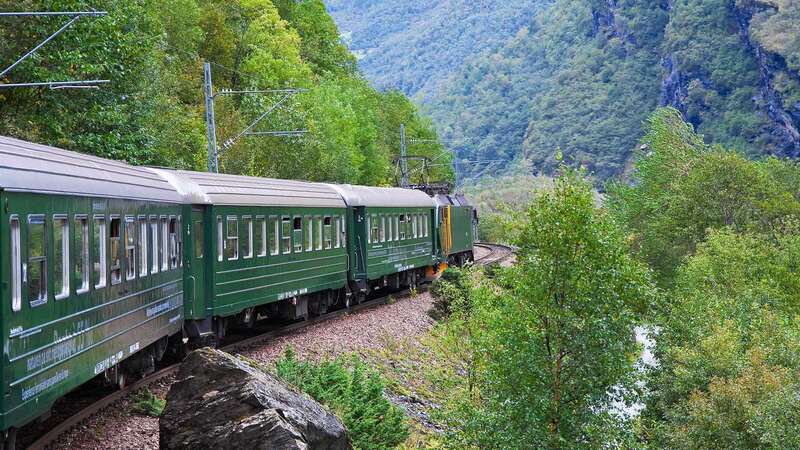 This train ride, ranked amongst the 20 best train journeys in the world, takes you over Norway’s mountainous “rooftop“ and through charming villages like Gol and Geilo. 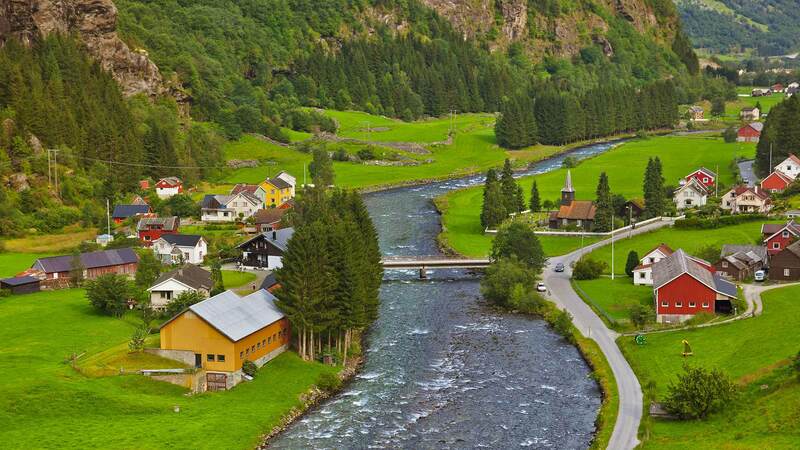 In Myrdal, you will board the Flåm Railway for an incredible 20 km ride with a 900-metre descent to the beautiful village of Flåm. 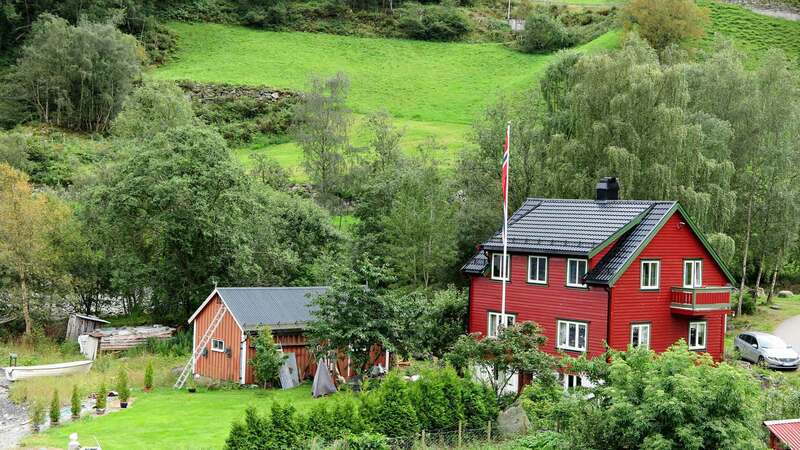 In Flåm, you’ll have free admission to the Flåm Railway Documentation Centre, located right beside Flåm Station, where you can learn about the construction of one of the world’s steepest railway lines. In the evening, the group will dine together at the hotel restaurant. Spend the night at Fretheim Hotel or similar. 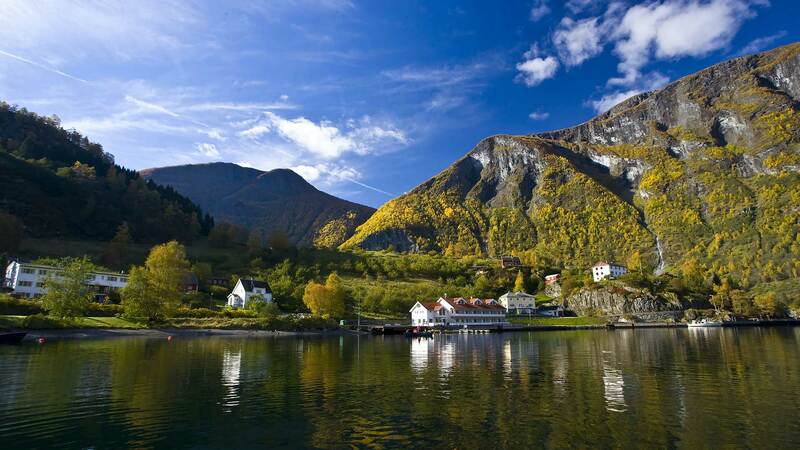 You are free to explore Flåm as you wish this morning before the group boards a cruise to continue the journey. The boat tour will take you onto Aurlandsfjord and the World Heritage-protected Nærøyfjord, the narrowest fjord in the world. 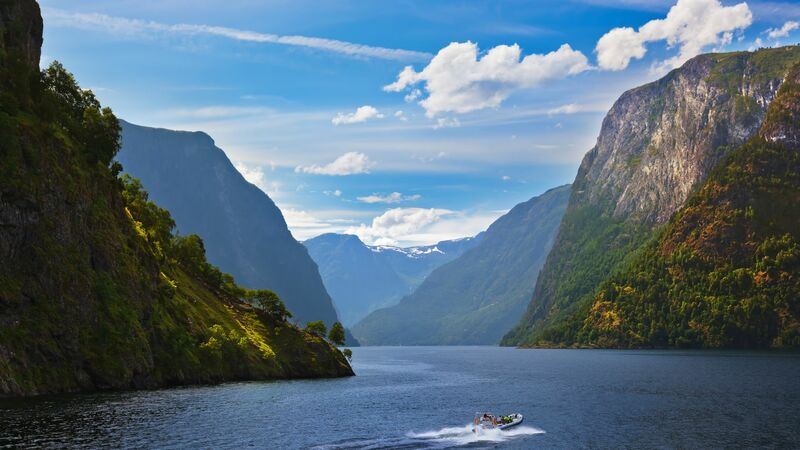 This is perhaps the most beautiful and wildest arm of the Sognefjord, with its tall mountains, mighty waterfalls and small farms clinging to the steep mountainsides. On arrival at the pier in Gudvangen, you‘ll board a coach bus for a thrilling ride around the 13 hairpin bends of Stalheimskleiva, Northern Europe’s steepest stretch of road. This will take you on to Voss, where you will switch onto a train for the last stretch of the journey to Bergen, arriving around 9pm. Tonight you will dine on your own, eating something light on the train or eating later upon your arrival in Bergen. Spend the night at Bergen Børs Hotel or similar. 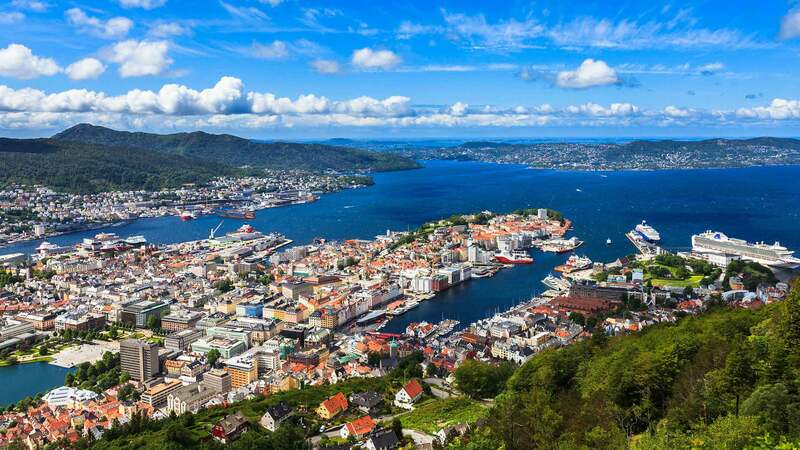 Despite being Norway’s second largest city, Bergen – the Fjords capital – still has all the charms of a small town. You‘ll experience its beauty and character first-hand as a local guide will lead the group on a walking tour around Bryggen, the medieval part of the city, which is also a UNESCO World Heritage Site. You will then take the funicular up to nearby mountain, Fløyen, for stunning panoramic views over the city and surrounding fjords. You get the rest of the afternoon to explore Bergen at your leisure. Then, in the evening, you‘ll have one last dinner with your travel companions, a chance to share your favourite memories from your Scandinavian tour. When it‘s time for your Scandinavian adventure to come to an end, you can take the airport bus from one of the many departure points in the Bergen city centre or you can take a taxi directly from your hotel to Bergen-Flesland Airport. If your flight is in the afternoon, enjoy some last-minute shopping, visit one of Bergen‘s museums or relax at a café, enjoying the last few moments of this amazing journey. We thought our guide was absolutely wonderful..... he handled everything beautifully and made the trip so much fun for all of us. I loved all of it, and I appreciated the amount of time we spent as a group and also the time to be on our own. The transportation from city to city was excellent, and the ferry ride to Oslo from Copenhagen was fantastic. Glad that I booked the tour with Nordic Visitor. My family had such a great time that the Scandinavia aura still lingers after days back home. Sirry Laufdal was our beloved advisor for this trip & she has done a wonderful job. She had all the arrangements in order with detail explanations. Best of all we got great connecting rooms with fantastic view. Nordic will arrange the schedule & all we need were an adventurous attitude with a craze for map reading & go explore! Scandinavia (Denmark, Norway & Sweden) were amazing countries with equally amazing people! We took the train to Bergen, it's a trip we'll never forget. Thanks Sirry. Love every bit of this trip. We offer a variety of accommodation options to suit all travel needs. To ensure that the accommodations included in our packages meet our own high standards for quality and service, each establishment has been hand-picked by our local travel experts. Guaranteed departures Group size: Maximum group size is 16 participants. We recommend that all Nordic Visitor travellers read through the following information about what the tour includes, deposit payments, the difference between a tour leader and a tour guide, what to pack for your holiday, and useful information about the activities included on the tour. Please note that this tour is not recommended for families with young children. This package requires a deposit payment of 50% of the total price at the time of booking since it contains certain travel arrangements. Please view our booking information for further information. If you wish to spend more time in Stockholm at the beginning of the trip or in Bergen after the guided small group tour, ask your travel consultant about adding extra nights or services. For an even greater Nordic travel experience, we can also extend your trip with visits to Iceland, Scotland and/or Greenland. Contact us for details about customising your itinerary! This tour package includes the professional service of an experienced Scandinavian tour leader, who will travel with you from country to country, and join you on all guided tours, transfers and other planned activities listed in the itinerary.The tour leader, who acts as the logistical organiser for the group, ensures that everything is running smoothly and that you’re having a good time during your holiday. 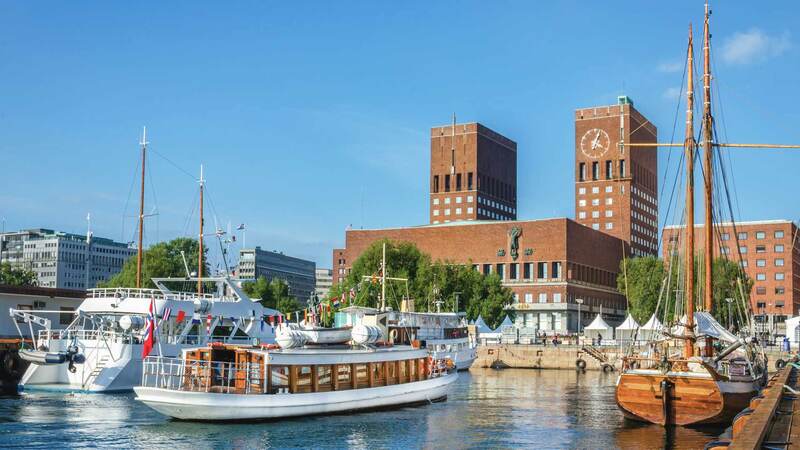 As an expert on the Scandinavian region, the tour leader is also a valuable resource for questions about local customs, languages, shopping, food and other practical travel information. In each city, your group will be joining privately guided sightseeing tours with a knowledgable local guide. Please be advised that in some cities you will be joining sightseeing tours by foot, so there will be considerable walking involved. All walking will be at an easy pace, with many stops. Please be advised that during your trip, you will need to transport your own luggage with you onto the next leg of your journey, so we recommend bringing a light suitcase on wheels. For added comfort, your luggage will be picked up in Oslo and will be waiting for you in Bergen. Remember to pack an overnight bag for your night in Flåm. To ensure comfortable seating for everyone on our tour, we need to limit the size and amount of luggage. Each guest is allowed one suitcase or large bag, and one smaller item (e.g., a small backpack or day bag) for daily essentials like camera, wallet, medications and so forth. If you have any questions about luggage, your Nordic Visitor travel consultant will be able to assist you. Ranked amongst the 20 best train journeys in the world, this tour combines rail travel, with bus and cruises. 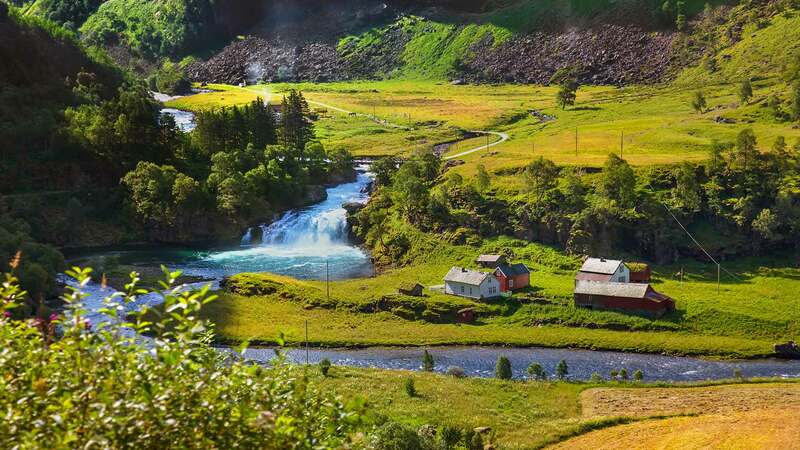 Starting in Oslo, you will board a train which will take you up toward the “rooftop“ of Norway, where you‘ll switch onto the breathtaking Flåm Railway, one of the world’s steepest railway lines. 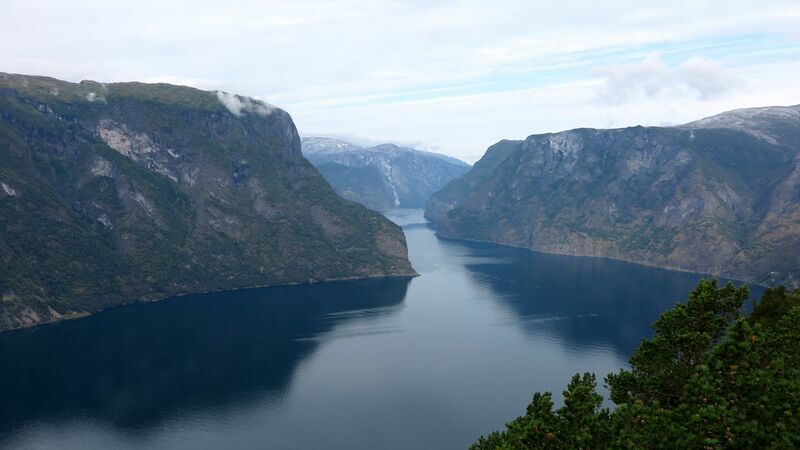 After a night in Flåm, you’ll board a cruise onto Aurlandsfjord and the World Heritage-protected Nærøyfjord, the narrowest fjord in the world. The cruise will take you to Gudvangen, where you will board a coach bus for a thrilling ride on Stalheimskleiva, Northern Europe’s steepest stretch of road. 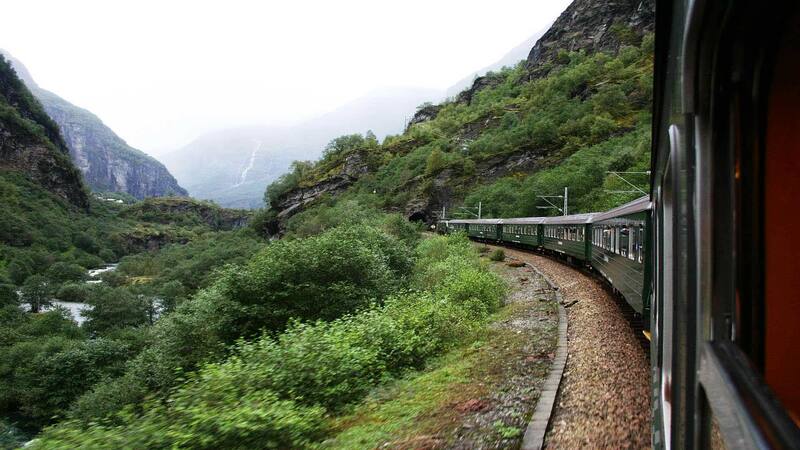 When you arrive in Voss, you will catch another train, which will take you to your final destination, Bergen. To travel from Copenhagen to Oslo, you will board an overnight cruise. Departure from Copenhagen will be at 16:30, with check in at 15:30. The cruise will be on board a large 2,200 person boat, where you will stay in a cabin with sea view, including a private toilet and shower facilities. On board you‘ll be able to partake in some tax-free shopping, enjoy the provided entertainment, and take advantage of the bar and restaurants. On the evening of the cruise, you‘ll share a dinner buffet included in the package, with the group. Arrival in Oslo is planned for 9:45am the next morning. Please note that this tour includes quite a lot of walking during sightseeing tours. This means you need to be prepared and able to walk between 3-5 kilometres during days where sightseeing tours are included. You also need to be able to carry your own luggage when boarding trains, buses and cruises. A daily breakfast buffet is included at your booked hotels and cruises for the duration of your stay. You will also enjoy five dinners with the group, included in your package. They will include either a set 2-3 course dinner menu or a dinner buffet with a good variety of local fresh ingredients. Please notify your travel consultant in advance of any dietary restrictions. Other meals and drinks are not included and will be at your own expense during the trip. After booking your package with Nordic Visitor, you will be contacted within two business days by one of our travel consultants who will serve as your dedicated contact person for all of your travel needs before, during and even after your holiday. Your travel consultant will provide you with details about your booking and your remaining payment (if not paid in full). You will also receive more information about what to expect during your holiday.